Another round of cooking classes under my belt. Just completed the second of my Autumn Harvest series - Autumn Brunch. The recipes in this class featured my whole wheat pumpkin pancakes; the cranberry maple syrup recipe I made for the Talk Philly Live television segment last year; the recipe for this strata and an apple cake recipe, that I will post in the next few days. Getting right to the point, here's my "blueprint" recipe for this savory bread pudding. Utilizing a custard style base (eggs/milk/seasonings) I created layers of flavor and layers in the bread pudding. A strata is a an egg and bread baked breakfast or brunch casserole. It's a blueprint recipe because you can swap out the roasted veggies for whatever you have on hand - spinach, mushrooms and onions; shredded and sautéed zucchini and squash; sausages and peppers. You can use whatever melting-style cheeses you want, full or low-fat. By this I recommd, a Swiss Style cheese, or Havarti, Cheddar, or Combination of Mozzarella and Shredded Parmesan. I made this with a French style baguette. An hearty loaf bread or Italian will work. Fresh or day old. Whole, low or non-fat milk. The variations are endless. Wash and cut vegetables. In a large bowl, toss all the vegetables with the olive oil and season with the salt and pepper. Place the vegetables onto a sheet tray lined with a Silpat or parchment paper, or use a roasting pan. Roast for 45-50 minutes, stirring the vegetables occasionally. 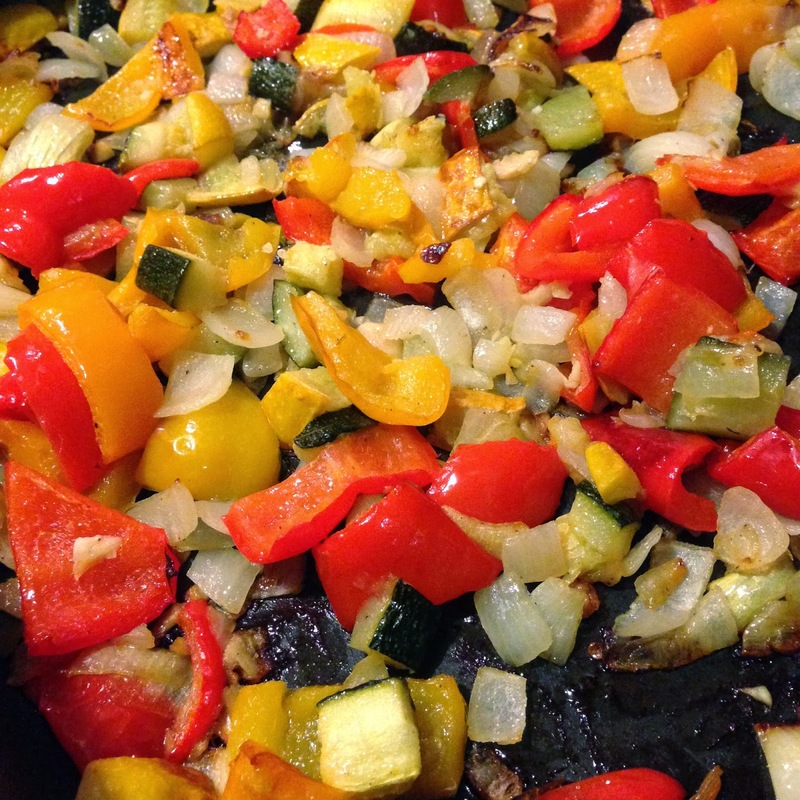 Remove the vegetables when they are nicely browned and caramelized, and all the water they released has evaporated. Cool enough before handling. Butter, spray or lightly oil a shallow 4 1/2 quart baking/casserole dish. 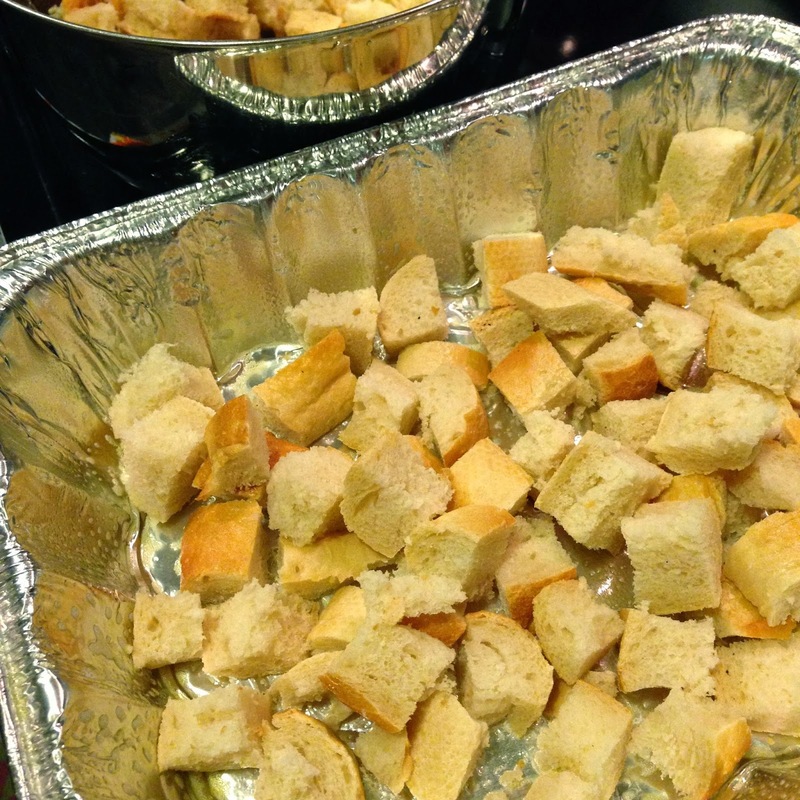 Arrange half of the bred cubes into the baking dish. 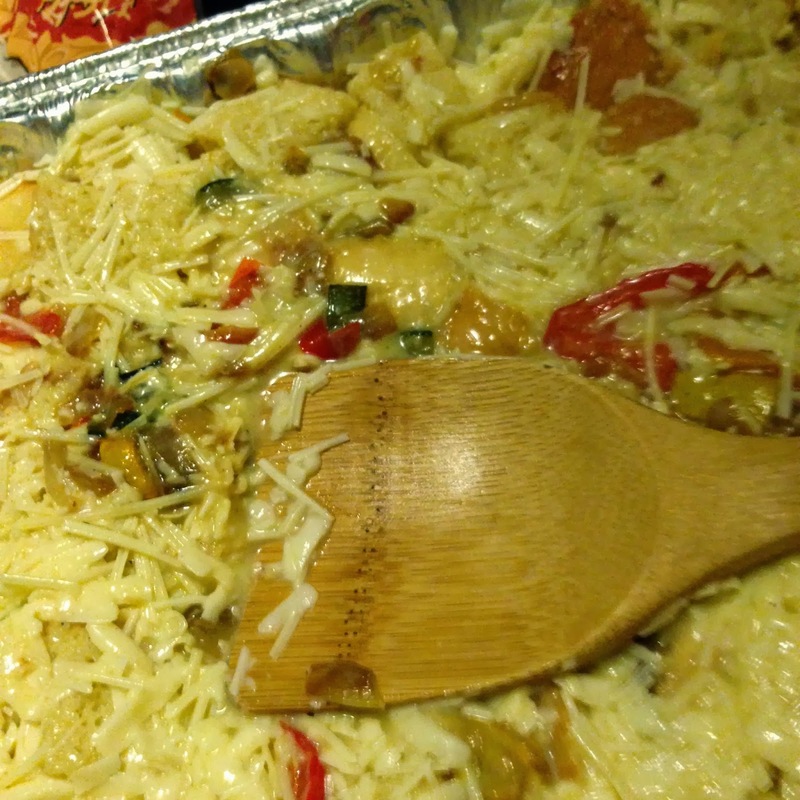 Spread half the roasted vegetable mixture over the bread, then sprinkle half of grated Fontina and some of the Parmesan Cheeses over this layer. Repeat the layering of bread, vegetables and cheese until they are all used. In a large bowl, whisk together the eggs, milk, cayenne/hot sauce, mustard, salt and pepper. Pour the egg mixture evenly over the bread and vegetables in the baking dish. Press the strata down in the pan and chill it, covered, 4 hours to overnight. or if the oven’s been on from roasting the vegetables, reduce the heat down to 375. 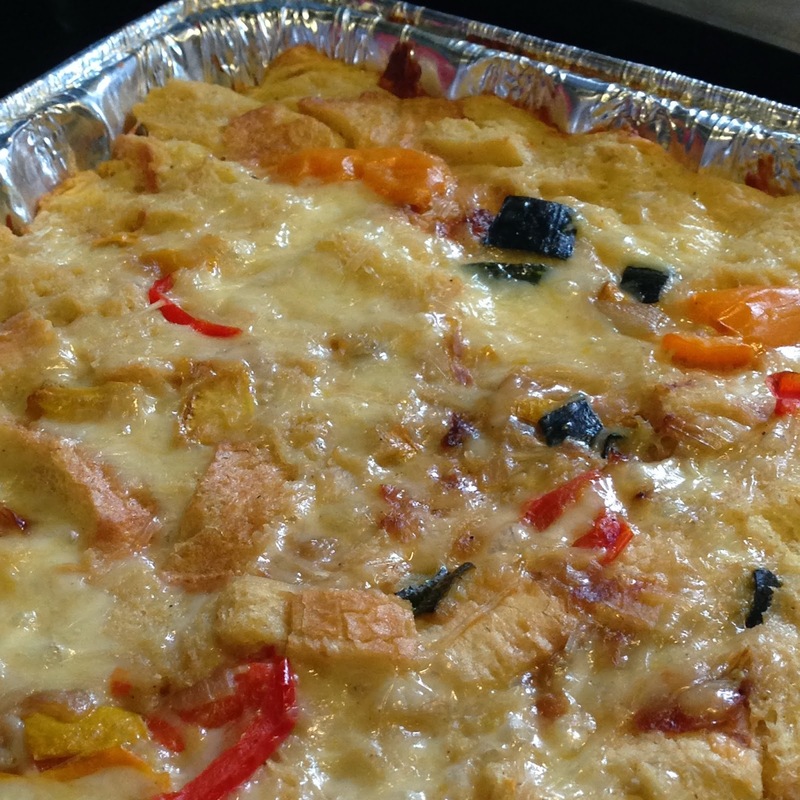 Prior to baking, let the strata stand out at room temperature for 15 to 30 minutes. Bake the strata in the middle of the oven with a rack position into the center. Bake for 50-60 minutes or until the strata is puffed, golden and cooked through. Serve hot, warm or cold. Serves 8 or more. 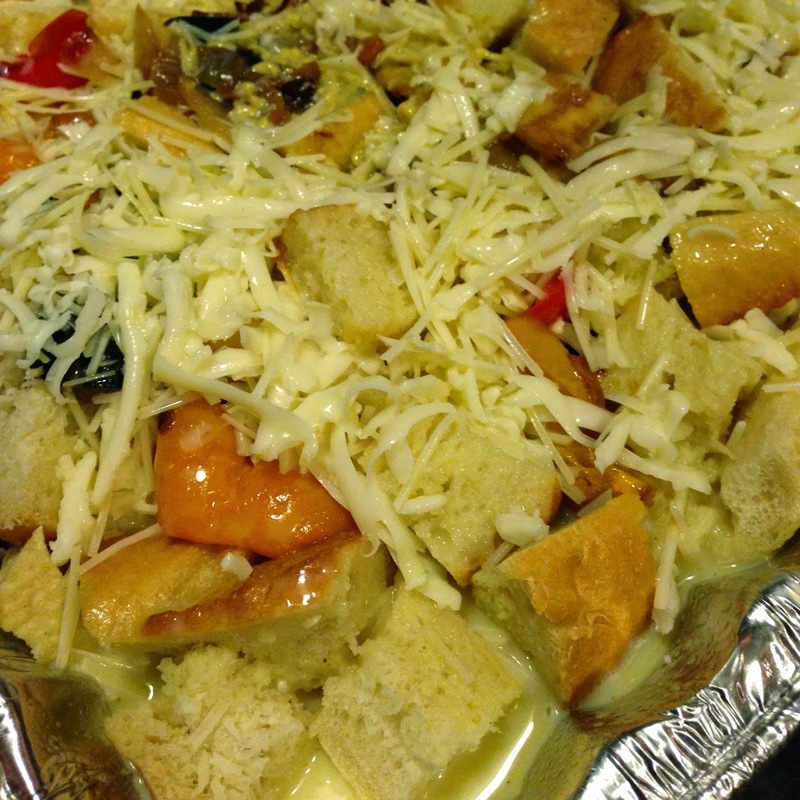 Will hold for 1 day uncooked; once cooked, strata will hold, covered and refrigerated for up to 3 days. This recipe is essentially a savory bread pudding - set with a custard. To set the liquid, in this recipe, it takes 2 eggs per cup of milk for the milk to set. Roast the vegetables - use more than you think you should - they cook down a lot during the roasting process. 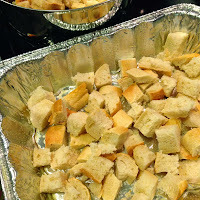 Cut the bread into cubes. Large is fine, but not huge, and not small tiny pieces. 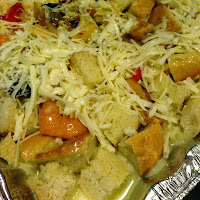 Layer the vegetables on top of the first layer of bread, then spread 1/2 of the cheeses over the vegetables and bread. 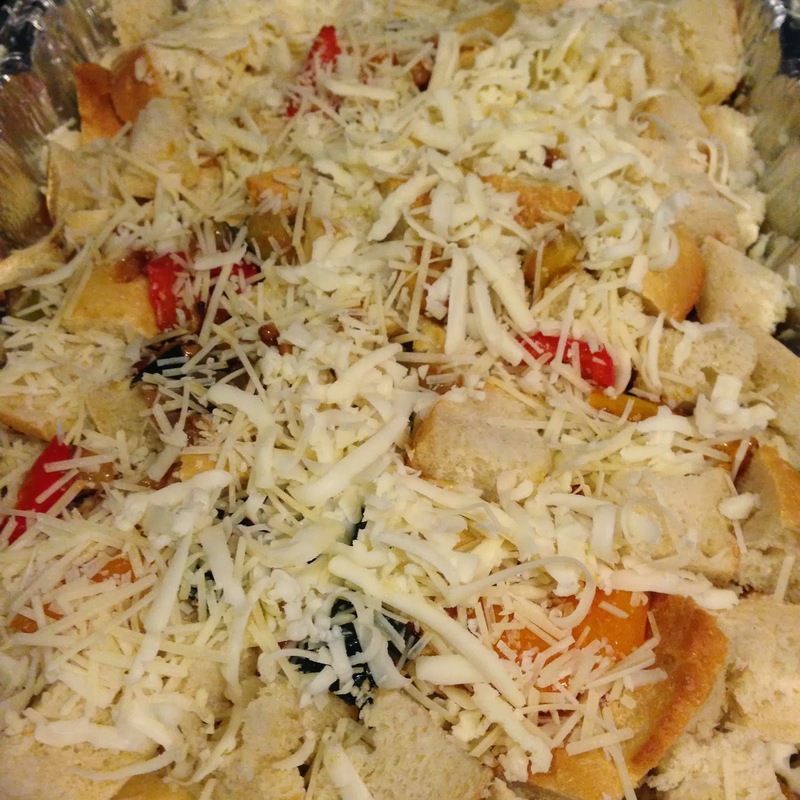 Continue the layers of bread and roasted vegetables, ending with a layer of cheese. Whisk the eggs then whisk in the milk, Dijon Mustard, salt, and pepper. This is your custard - you want to have this flavored. It's the binder of the bread pudding and is essential to the building blocks of flavor. 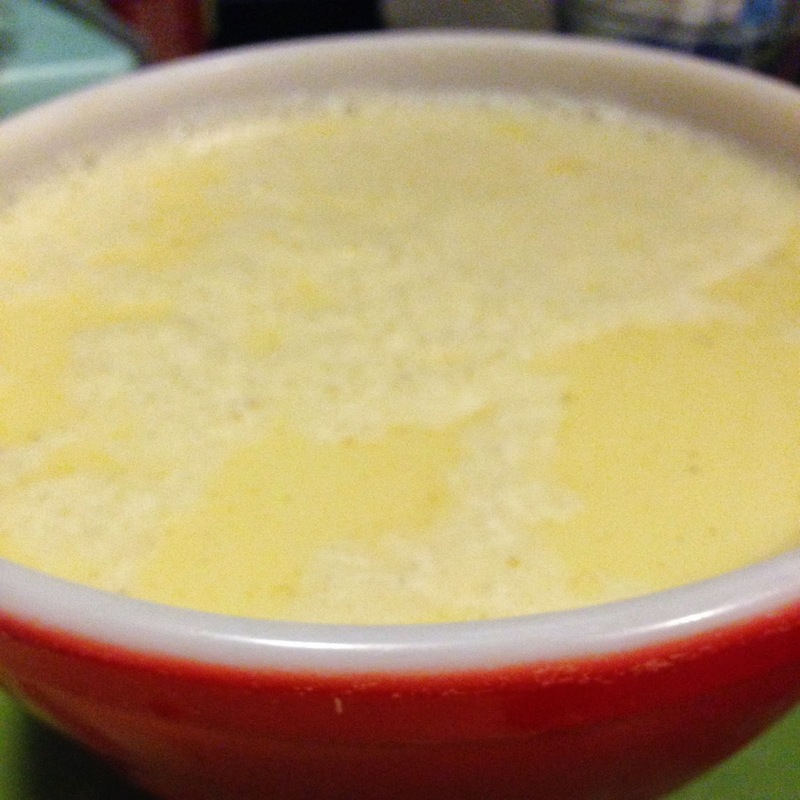 Pour in the custard, soaking the bread thoroughly. Press the bread down to make sure it is all submerged in the custard. Refrigerate the bread pudding/strata for several hours to overnight so that the flavors meld and the bread soaks up all the eggs. By doing this, the structure of the bread will break down and the pieces of bread will almost remeld/remold together. The longer this soaks, the better the structure of the strata will be when is baked.